For decades Porsche has continued to remain timelessly cool and have gotten more popular as the years have gone on. Pushing the limits of performance, power and speed, what’s helped sustain Porsche’s lasting power is the fact that in addition to all of their innovations in performance, the comfort level of each Porsche has only gotten greater as well. In precision vehicles like these, timing is everything and nothing will keep your Porsche running in time like following your model’s specific scheduled maintenance program. 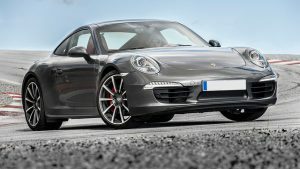 At A&M Auto Service in Pineville, NC our mechanics offer Porsche owners the high quality service and repair work their car needs to keep performing at the level you expect. We use all of the latest tools and equipment available in order to provide the highest quality services possible for your car no matter how big or small the job may be. Please call or visit our shop today to schedule an appointment for your Porsche or to speak with one of our mechanics about all of our available services and repairs for your car.